What you need to benchmark? What is the correct approach you are taking for it? What APIs/Tools you are using for measuring various metrics? In my case I was required to benchmark the performance of a default Android SDIO UART driver against the custom made SDIO UART driver. To be specific the requirement was to measure the time taken to read & write the data. Use time command and find out total time taken between invocation and termination of read/write operation and compare its result for both default and custom driver. I found the output of time was not that accurate as it considers other variables (user CPU time, system CPU time, etc.) which I felt was not a good idea. Use a kernel level API just before the driver’s read/write implementation to find out exact time spent in those operations. This was closer to what I wanted in my benchmarking effort. Use current_kernel_time() just before and after the read/write implementation to find precisely how much time was spent in execution. Then found, most of the times it was showing 0 nanoseconds for read/write and very few times it showed some values in nanoseconds, which was not sure if those time values were accurate. Then finally as per a perfect suggestion from a wise friend, shodanex, I used getnstimeofday(). Then I could get what I wanted, a true comparison in nanoseconds for driver’s read/write operation. 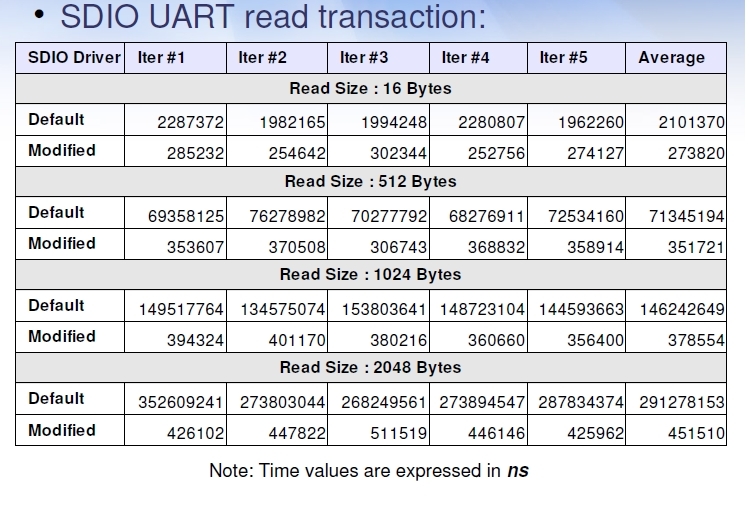 Following is the benchmarking result (partial) for read() operation. 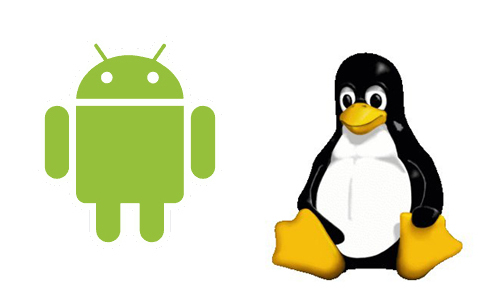 I think similar approach can be followed to benchmark the device drivers on other target platforms. Finalizing correct metrics is very essential as at times it can distort the purpose of the benchmarking process. Choosing well-thought approach for benchmarking always helps to make the result more meaningful and the resources well-spent! Finally, as they say more time you spent on sharpening the tools, the less time you spend in cutting the wood! In benchmarking, more time you spend in analyzing the right API/tool for your requirement, less you waste the time & energy while benchmarking and more you add value to it! Can you post some log of the ns time that elapsed between your reads ? Sure, I have updated the blog with benchmarking result for read() transaction. Thank you, Tom! There are a few things which I have intentionally not detailed for users to experiment and ask in case get stuck!